NOT one, not two, but THREE palazzi (palaces) comprise the marvellous hotel. They date from the 14th, 19th and 20th centuries. Palazzo Dandolo in Venetian Gothic style, once home to the noble Dandolo family. The Palazzo Casa Nuova was previously the city’s treasury. and Palazzo Danieli Excelsior was redesigned by Jacques Garcia, and features sumptuous guestrooms with balconies overlooking the lagoon on its upper floors. Views are panoramic and spectacular! Executive Chef Alberto Fol is a kind and modest gentleman who speaks frankly and is not arrogant. I have friends in high and low places…and bright and dark places and I know a good Chef when I meet one. The Travelling Gourmet: As far as possible are sustainable products used? Chef Alberto: Artichokes rom St. Erasmus, Asaparagi from Bassano, local products as much as we can.. The Travelling Gourmet: Are you using only healthy oils and NO palm oil that causes cancer and deforestation? The Travelling Gourmet: Wahat are your favourite foods and herbs to cook with? The Travelling Gourmet: What are your thoughts on molecular gastronomy?? Chef Alberto remarked frankly: I tried…the concept, but NOT for my kitchen. Without hesitation, Chef Alberto elaborated, “First, primo, la qualita (the quality) must be the best. Second, the health…very important. Third, design the dish! The Travelling Gourmet: Si, d’accordo!! Forty years ago people ate less sugar but now they eat TEN times more! take Coca Cola with 35g of sugar in a 330ml can! Too much white poison like sugar kills…in more ways than one. Commander James Bond MI6 Intelligence officer 007 played by handsome Roger Moore and CIA deep cover Intelligence officer/NASA Scientist, Dr. Holly Goodhead (Lois Chiles), in one of the splendid suites in Hotel Danieli…:-) “Perhaps this would be a good time to pool our resources…” Oh Madonna!! another big Hollywood hit movie called “The Tourist”. Starring superstar Angelina Jolie before her double mastectomy (OUCH! ), and jolly Johnny “Pirates of the Caribbean” Depp, in a terrific tale of treachery, intrique, love, revenge, humour, glamour, elegance and much more…much like Romeo and Juliet’s tale set in Verona, the city that is also famous for VINITALY every year! Janus is an ancient Roman, composite god who is associated with doorways, beginnings, and transitions. A usually two-faced god, he looks to both the future and the past at the same time, embodying a binary. 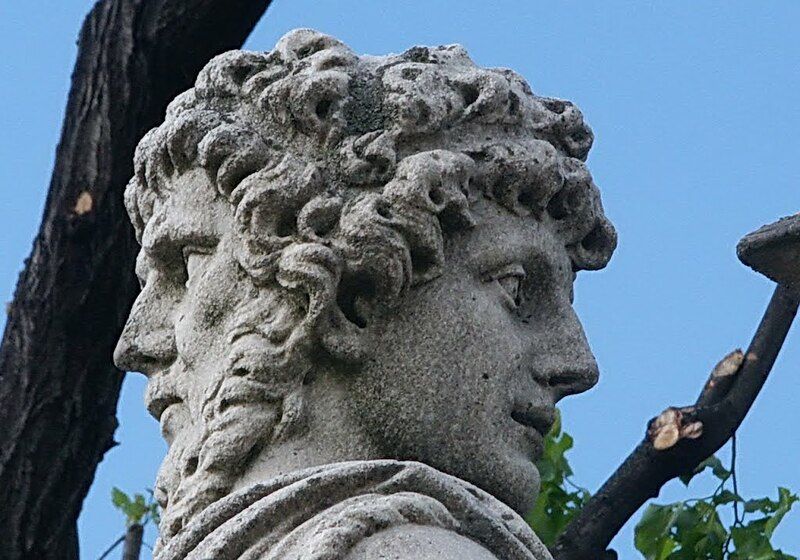 The concept of the month of January (the beginning of one year and the ending of the end) is both based on aspects of Janus. It was sunny but there was a slight drizzle of cool rain…as my Turkish Airlines jet took off SAS – smooth as silk…this song played in my mind. Ciao Ciao bambina, Queen of the Adriatico, I will see you again…soon. This entry was posted in Art, Castles & Museums, Chocolates & Desserts, Fabulous Food, Fabulous Food and Gorgeous Drinks, Fabulous Food, Gorgeous Wines!, Food and drink, Friends & Comrades, Gorgeous Wines!, Gourmet cuisine, History, Language learning, Let them eat Cake..., Movies, News and politics, Nobody's perfect..., Poems, Travel, Voyages, Wine Appreciation and tagged 007 Movie Moonraker, Chiesa San Giorgio, Hotel Danieli, Queen of the Adriatic Sea, Terraza Danieli for Breakfast, Venice. Bookmark the permalink.